I shudder to think about all those fancy tamales. You know, the ones from the stand at the farmers market with the “non-traditional” fillings: goat cheese, spinach, kale—gluten-free vegan feta jalapeño! Great ideas—vegans need their tamale fix, too—but the masa is always dry or lacks the richness that comes from a little lard. These aren’t the tamales of a seasoned tamalera, who is a master of masa and guisados. In Mexico, modern chefs don’t serve traditional tamales on rectangular plates; the idea of an “elevated” tamal only exists at places like Red O, and even then, it’s only elevated in price. Fortunately, Alta California chefs like Ray Garcia of Broken Spanish have bent the rules and given me cause to consider the fine dining tamal. 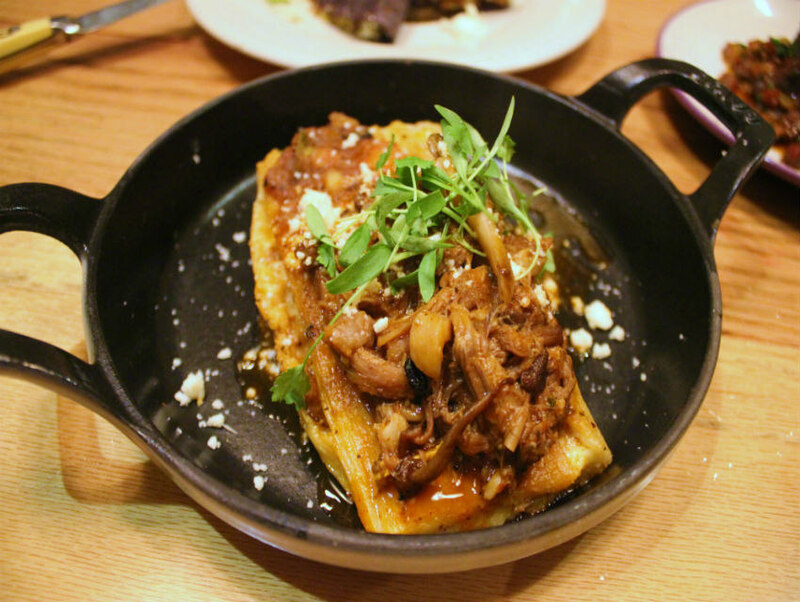 Garcia’s Broken Spanish has a pair of delicious tamales, and his lamb neck tamal has everything you could ever want. A savory lamb stew covers a tender tamal, and it’s lubricated with a flavorful greasiness that merges the guisado with steamed nixtamalized masa, keeping the flavors of the street tamal vendor in the dish. It’s a tricky thing trying to pull this off: offering a matriarchal street food dish that’s best served on the street, right out of the steamer pot. But Garcia brings the experience into the dining room, saving the goat milk where it belongs—in the flan.